A week of engineering events organised by the University of the West of England (UWE Bristol) at the end of June is set to showcase the creativity of current and future engineers across the South West. 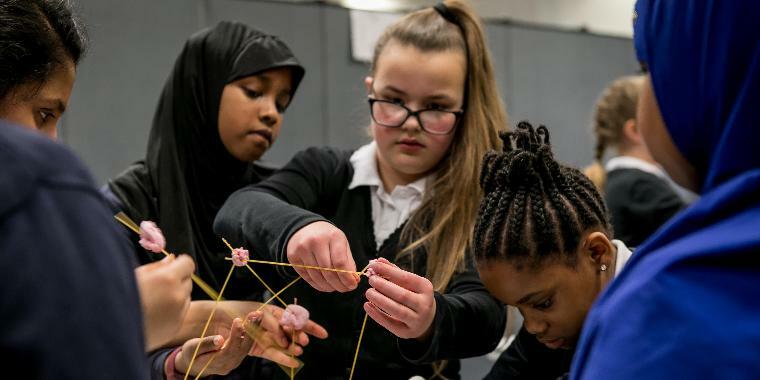 On 28 June, activities for young people will celebrate women in engineering and inspire schoolgirls interested in the sciences. On 29 June, judges will announce winners of The Primary Engineer and Secondary Engineer Leaders Awards, and the following day families can view the schoolchildren's exhibited designs. UWE Bristol's Engineering Week will involve interactive activities, demonstrations, and events about engineering aimed at school groups, teachers and parents. Taking place at the University's Exhibition and Conference Centre, the events are linked to the Year of Engineering, a national campaign aiming to increase awareness for young people, parents and teachers about the profession. On 28 June, a day of activities will celebrate women in engineering. Female pupils from Years 9-11 will have the chance to participate in hands-on activities, which demonstrate how this profession impacts many aspects of society. Each zone will focus on a different contribution to society, with the ultimate challenge of designing and building a city of the future. The event aims to challenge traditional perceptions that engineering is mainly for men, in order to tackle a lack of diversity in the profession. It follows International Women in Engineering Day on 23 June. UWE Bristol will then host a ceremony on 29 June for the The Primary Engineer and Secondary Engineer Leaders Awards, when judges are set to announce the winners. The competition challenged children to answer the question 'If you were an engineer what would you do?' by identifying a problem in society that engineering could solve, and devising a solution. Throughout this year the University, Defence Equipment and Support (DE&S) - the Ministry of Defence's procurement organisation - and Primary Engineers Programmes have sponsored the South West England Region's Primary Engineer and Secondary Engineer Leaders Awards. Later this year, students from the EngWest studio at UWE Bristol will work on turning one of the winning designs into reality, by building a working prototype based on the design. Visitors of all ages will have the chance, on 30 June, to view the shortlisted and winning designs ideas on display in the exhibition centre, where the University's engineers will also showcase their latest research and technology. Visiting families can have a go on a drone, take on the role of a city planner in a cardboard version of Bristol, or discover virtual reality (VR) technology. Laura Fogg-Rogers, who is coordinating the week of events and is Senior Research Fellow in UWE Bristol's Science Communication Unit said: "Engineering has an image problem, but in reality it is a creative, socially conscious, and collaborative discipline. Engineers can make a real difference to improve the lives of people in the UK and around the world. "That's why it's so important for UWE Bristol to run events like our Week of Engineering – we want to show all young people that engineering can be a career that helps them make a difference in society." UWE Bristol has launched a new blog to highlight ongoing activities in the Department of Engineering Design and Mathematics. A chance to meet science teachers from across the West, and hear from experts in engineering about role modelling for girls in STEM.